A Young Girl Is Lost On The Streets. What This Man Tries To Do Her Made Me Furious. 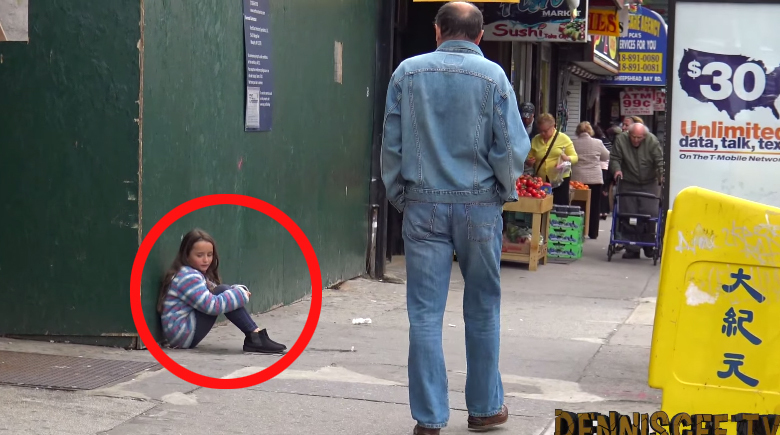 This video is a social experiment which sets out to find out how people would react to a child that has lost her parents. As she approaches a stranger, she is met with a man who is very kind and helping. He offers her money, and even a metrocard to get home via bus or subway. However, not everyone is so kind. How some people reacted was downright despicable. I couldn’t imagine if I was put in this situation, or this was my child and people treated her this way. It makes my blood boil. But just when you thought it couldn’t get any worse, she’s approached by a weird man who offers to take her home. He insists he knows her and will take her somewhere safe. But when he’s stopped what they learned later on is beyond shocking. Remind your kids never to talk to strangers, and educate them on what they should do in case they ever get separated. It is very important that everyone sees this video. This is a video that everyone should watch. Please SHARE this video, it could save a life.